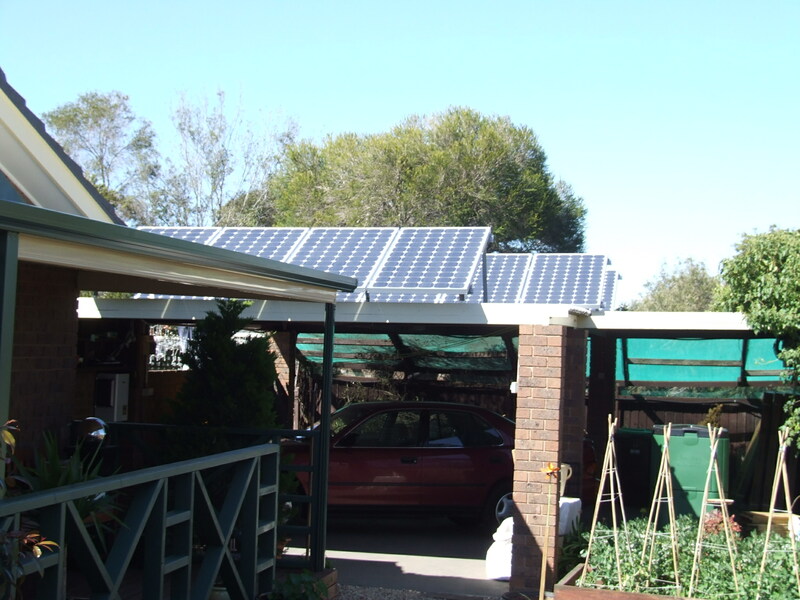 We’ve been facing some solar PV inverter issues with our solar PV installation lately. It looks like the inverter (Fronius IG-30) has given up the ghost after 9½ years of loyal and reliable service to the Webber family. It has provided us with many megawatts of clean energy for our pursuits. As it stands today, there is no output from our system and it’s been that way since last Wednesday. The inverter is the heart of any PV system. It converts the Direct Current generated by the solar panels and converts it to Alternating Current in the form of 240 volts @ 50Hz to match the electricity grid. Without it, the solar panels are as much use as a single chopstick. I’ve sent off the fault to my system installer, Energy Matters, now owned by Sun Edison, to see what they can do about it. Hopefully they can send out a specialist electrician to have a look and diagnose the issue. If you want to know how the system has performed up until now, here is the link to a case study they did on our system a year or two ago. 16 x 175 watt Solar Panels. Currently useless! However, I don’t hold up much hope. From what I’ve read online, it is a major fault that requires replacement of the entire inverter, especially one as old as mine. I also believe that it may be out of warranty so may be out-of-pocket for a considerable sum. So now I am faced with a dilemma. Do I, a) Save up and buy a replacement inverter of the same type (3 kW grid tied), or b) investigate the cost of a hybrid system that incorporates a battery backup as well as export to the grid. Why would I consider a battery option I hear you ask? Well, the legislation here in Victoria that provides me with a generous 66 cent Feed-in Tariff. It is due to expire in about 5 years, so at that time I will lose the offset against my power bill. That means I should store some, or in time most, of the excess then export the remainder. I figure that our evening energy usage will then be covered with stored electricity from the batteries. Once the batteries are charged during the day, the excess will be just icing on the cake for the remaining years that the legislation remains in effect. Once the legislation expires, I can bolt on more battery storage and keep it all, essentially being free of the grid. Sounds like a better outcome. I do have some research to do before I make a decision. If you know of a suitable inverter/storage solution, then let me know via comment and I will follow it up. I don’t have a very big budget and if the hybrid system is too expensive, I will just have to replace the inverter. Hopefully with one that I can bolt on storage at a later time. Anyway, I’ll keep you abreast of the solar PV inverter issues in the spirit of knowledge sharing. As the system was installed in September 2007, I consider us as early adopters. 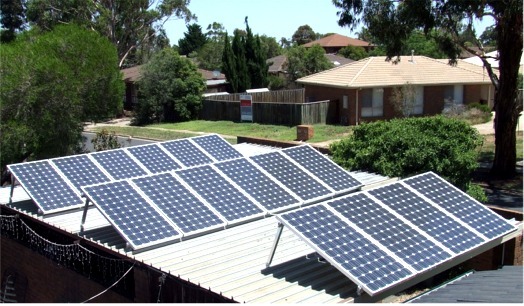 I would expect that many other solar PV system owners will soon be faced with a similar decision as the one I do. So, on with the research and may it be sunny! Hi Gavin, right now it’s not economical to get a battery, and given you’ve got another 5 years of 66c, you’re better off using the grid. I’m adding a second system to my house and the entire 3kW array + inverter is less than what I paid for my inverter 6 years ago, so you may be pleasantly surprised by what a new inverter costs! Depends if you are interested in being off-grid or not. It appeals to me for other reasons besides the $$$. Don’t really want to be off-grid, but the potential backup supply would be a nice to have. Someone there may have an answer for you. My system will be 3 years old this October….so far no problems. You were lucky to get in when the FIT was 66 cents. When I signed up it was down to 8 cents, but my stupid retailer (AGL) paid out 33 cents (even though I queried it) for almost 18 months before they woke up! I had amassed a nice credit by then and only paid my first bill ($47) a month ago. Luckily they let all those affected keep their credits. I’d love to go off grid but just can’t afford the cost. I could do it easily energy-wise as I take only 2 kWh from the grid in summer and about twice that in winter. Good luck with whatever you chose. Sorry to hear the issues with your FIT Bev and thanks for the link. I really don’t think it’s fair that you get paid the wholesale electricity price, and have to pay the retail price (with GST added) when drawing from the grid. It is theft as far as I’m concerned! I am in Queensland and we are on the old 50 cents fit but I was under the impression that (at least in Queensland) if you upgrade your inverter or add more panels you lose the higher feed in tariff as the fit has dropped. Our system is only a 1.5kw which the previous owners paid a fortune to install so we are lucky there as we didn’t have to pay for it. I understand a new one would be a fraction of the price. Would be curious to know if that is correct in Queensland or any other states. Different states have different rules. In Qld, you can only replace like for like, ie you can replace your 3kw inverter for something of similar size, and that goes for panels. You cannot increase your system size, or you lose the FIT, and it reverts to the new 8c or whatever. Also in Qld, and not is some other states, is that the FIT remains with the owner, so if you move house, the new owner is not entitled the old generous FIT, whereas some in some states, the FIT remains with the house. I don’t have a very big budget and if the hybrid system is too expensive, I will just have to replace the inverter. The cost of a hybrid system is way too expensive at the moment, and with your generous FIT, I would be replacing the inverter (should not be as expensive as 9 years ago). Think of battery back-up when your FIT expires, they will be a lot cheaper then.